The “sprinter without a peer,” Dr. Walter Tewksbury was the oldest living Olympic star in the world. He was also known by residents of Tunkhannock “as the man who put Tunkhannock on the map.” Dr. Tewksbury graduated from the University of Pennsylvania Dental College. He was a member of the University of Pennsylvania track team for two years (1898-99) where was he was four times the National Intercollegiate Track Champion in the 100- and 220-yard dashes and also the 200 meter dash. In 1900 he won the Olympic and world’s championship in the 200 meter dash. He took first place in the 400 meter hurdles at the Olympics, and also came in second in the 60-meter and 100-meter dash and was third in the 200-meter hurdles. In 1960 he flew to Rome to observe the Olympics and in 1965 was awarded a plaque by the University of Pennsylvania at a special ceremony during the 71st Annual Penn Relays in Philadelphia. He received the award in conjunction with the University’s observance of its 100th year of intercollegiate sports competition. This Tunkhannock native is perhaps one of the least known athletes from our area. However, while a medical student at the University of Pennsylvania, Dr. Tewksbury began a track and field career rivaled by few. A man who got into the 1900 Olympic Games by accident, he trained by leaping over gravestones and won a motorcycle for his efforts. Walter took 2 first place finishes, 2 second place finishes and one third in these games. Translated into today’s Olympic standards, that would be 2 Gold, 2 Silver and 1 Bronze medal. At a banquet climaxing the Olympiad, a member of the British royal family who watched the games said he thought that Tewksbury deserved something better. “Well, sir, I’d certainly like one of those French motorcycles,” Tewksbury said. “I’ll see to that you get one,” he was told. “I got more enjoyment out of that motorcycle than anything else,” Tewksbury recalled. “There were almost no cars around at the time and I could make that ‘cycle go close to 40 miles an hour.” In February of 1968 he was a nominee for the Gibbons Brewing Co., Scrantonian-Tribune Sports Hall of Fame. 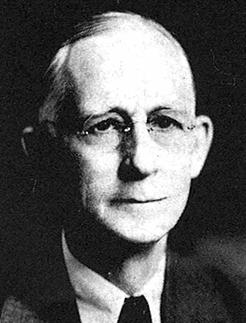 Born in Ashley, he was the husband of the former Marion Metcalf, who died in 1964, and son of the late Dr. Andrew D. and Mary Harper Tewskbury. He was a member of the First Presbyterian Church, Tunkhannock; Irem Temple, Dallas, and in 1950 was presented a 50-year pin by Blue Lodge 248, Free and Accepted Masons. He was a charter member and a past president of the Tunkhannock Rotary. In 1968 Dr. Tewksbury passed away at the age of 93, being the oldest U.S. Olympian. Surviving are a son, Dr. Roland Tewksbury, Tunkhannock; three daughters, Mrs. Pamela T. Emerson, San Diego, Calif.; Mrs. Mary Scetana, Santa Fe, N.M.; Mrs. Jerry T. Hamilton, a member of the Tunkhannock Area School Faculty; four grandchildren; one nephew and a niece.